A hamlet of cosy and spacious chalets built in a traditional Savoyard style. 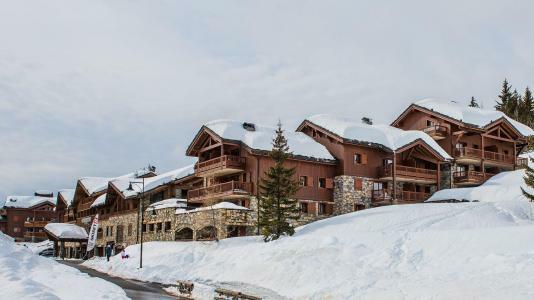 The residence Les Cimes Blanches****, La Rosiere, Alps, France offers superb apartments at the foot of the pistes where you can walk with your skis on. For a guaranteed escape the residence in La Rosiere, Alps, France which caters for both adults and children, offers a heated indoor swimming pool, jacuzzi, sauna, Turkish baths and a cardio-training room. Situated on the Eucherts pistes, access to Balcons de la Rosiere, Alps, France can be made with skis on. The residence comprises of 8 chalets and was traditionally built with noble materials. 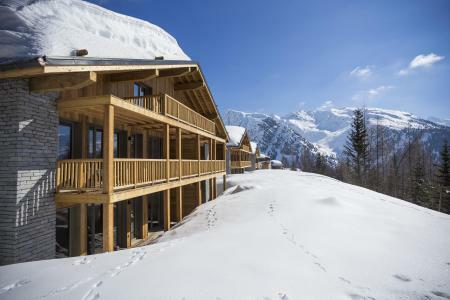 These chalets offer tranquility, exceptional sunshine and a breathtaking view over the mountain tops of the Tarentaise. Inside the residence La Rosiere, Alps, France the decor is outstanding with natural pine wall panels, solid wood doors, ceramic tiles, rustic plaster on bedroom walls, mountain style furniture. Facilities include: return shuttle bus stop close to the residence and available until 10pm and in the residence a grocery store, newsagent and bakery. The residence La Vanoise is located in "Chavonnes Hautes" area in La Rosière ski resort, close to the pistes and 200m from the shops and the centre of La Rosiere, Alps, France. The building comprises of 6 floors with lift. 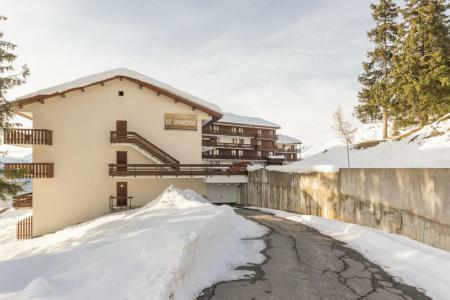 Le Lodge Hemera**** is an authentic Savoyard chalet ideally situated in the heart of the resort of La Rosiere, Alps, France, a few steps away from all amenities and the snow front. It is south facing and offers a breathtaking view (180°) over the valley of the Tarentaise and the district of Les Arcs, opposite. 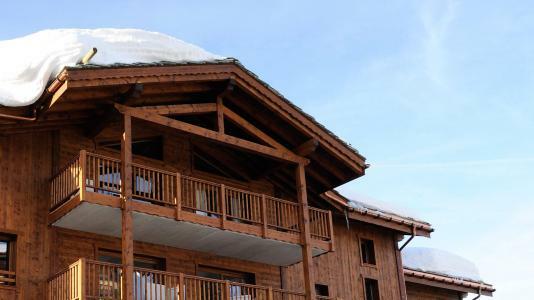 The residence in La Rosiere, Alps, France offers apartments with sunny balconies or terraces and high quality facilities, for total comfort during your holiday: fully equipped kitchen and bathroom, modern and authentic decor with natural materials (wood, granite, stone). Each accommodation comes with a cellar and ski lockers. The residence les Balcons de la Tarentaise is located in Vieux Village district in La Rosiere. 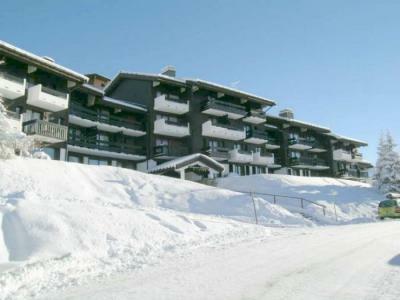 The ski slopes, the resort center and shops are situated 500 m from the residence. 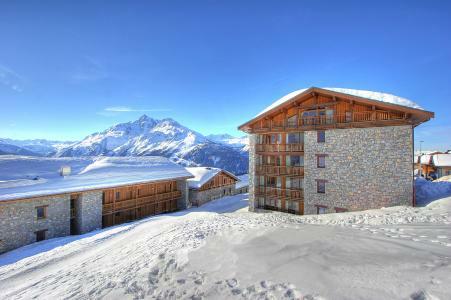 The residence Valaisan I is ideally situated 100 m from the slopes and the ski lifts of La Rosiere. It is located in Chavonnes Hautes district. The village center, the ski school and shops are 200 m from the building. The residence les Chavonnes is situated in La Rosière resort, in Les Papillons district. 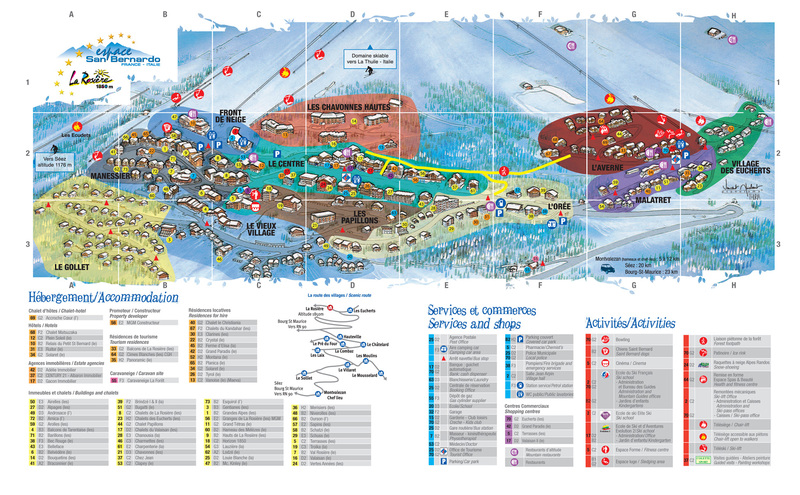 The slopes, the ski school and ski lifts are located 500 m from the building. You'll access to the resort center and shops 200 m away from the residence. 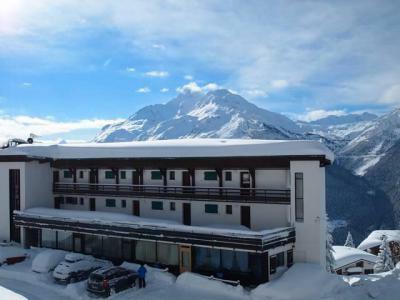 The residence Val Rosière is located at 200m from ski slopes and 200m from the ski resort center with its stores. The building is composed of 4 levels without lift. The comfortable apartments offer a view on the pedestrian street and a partly unobstructed view on the mountains. Parking subject to availability.